Most people would be shocked to know that around 22,000 people with diabetes die early every year. With World Diabetes Day this Saturday (14th November), we want to highlight all we’re doing to address this nationwide health burden. It is estimated that there are 5 million people at high risk of Type 2 diabetes in England – a disease that is preventable. Diabetes is a serious chronic health condition and is the leading cause of preventable sight loss in people of working age and is a major contributor to kidney failure, heart attack and stroke. As well as the human cost, Type 2 diabetes costs the NHS £8.8 billion every year, almost 9 per cent of its annual budget. There is a direct association between the growth in Type 2 diabetes and Britain’s expanding waistline, as those who are overweight or obese are at higher risk of developing the condition. Two thirds of English adults are currently overweight or obese, and of even more concern is that one in five children is overweight or obese on starting primary school, and one in three when they leave. We therefore have a multi-generational problem on our hands, and according to current trends, these figures are set to increase; 70 per cent of people will be overweight or obese by 2034 and one in ten will develop Type 2 diabetes. Unless we begin to reduce excess weight and obesity we won’t reduce diabetes. It is estimated that a large proportion of Type 2 diabetes could be prevented. England will be the first country to implement a Diabetes Prevention Programme nationally (the NHS DPP). This will be the first programme of its kind to be carried out at a nationwide scale, and will deliver on the prevention commitment set out in the NHS Five Year Forward View and PHE’s From Evidence into Action last year. 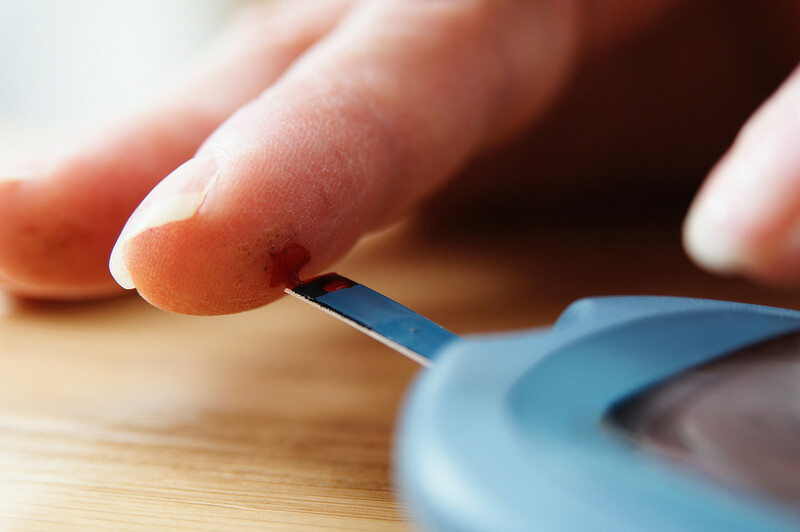 The programme, which is a collaboration between NHS England, Public Health England (PHE) and Diabetes UK, aims to significantly reduce the number of people – currently around five million in England are at risk – from developing the disease by 2025. The new programme will initially target people at a high risk of developing Type 2 diabetes. The first steps will be to deliver the programme through seven demonstrator sites in 2015-2016, which will inform the selection of sites who will become the first wave implementers of the programme. This will then be followed by a phased national roll out in 2016-2017.
aligning the NHS DPP with existing services. People will be referred into the programme through two ways. Firstly, routine GP and clinic appointments will provide opportunities to identify those at high risk, and in many cases GPs will already have identified certain individuals. Secondly, those who have already been identified in the past 12 months as having a ‘non-diabetic hyperglycemia elevated risk level’ , which is when people without a diabetes diagnosis have a higher blood glucose level than what is normal, will be targeted. In addition, the NHS Health Check programme is offered to adults between the ages of 40 and 74 and includes a diabetes risk assessment and blood test as part of the check, as well as referral to lifestyle interventions, such as weight management services. This already provides an established mechanism to assess up to a million and a half people every year. The NHS DPP has the potential to be a truly game-changing programme, helping people regain better health, by reducing obesity and delay or stopping a diagnosis of Type 2 diabetes, all of which will help reduce pressure on the NHS. We now look forward to collating and evaluating the feedback from the demonstrator sites to develop a national action plan that will help us successfully tackle the impact of diabetes on the NHS, now and in the future. For updates on the programme please visit www.england.nhs.uk/ndpp. If you have any questions about the programme please contact diabetesprevention@phe.gov.uk.